There are 67 reviews of Geir. 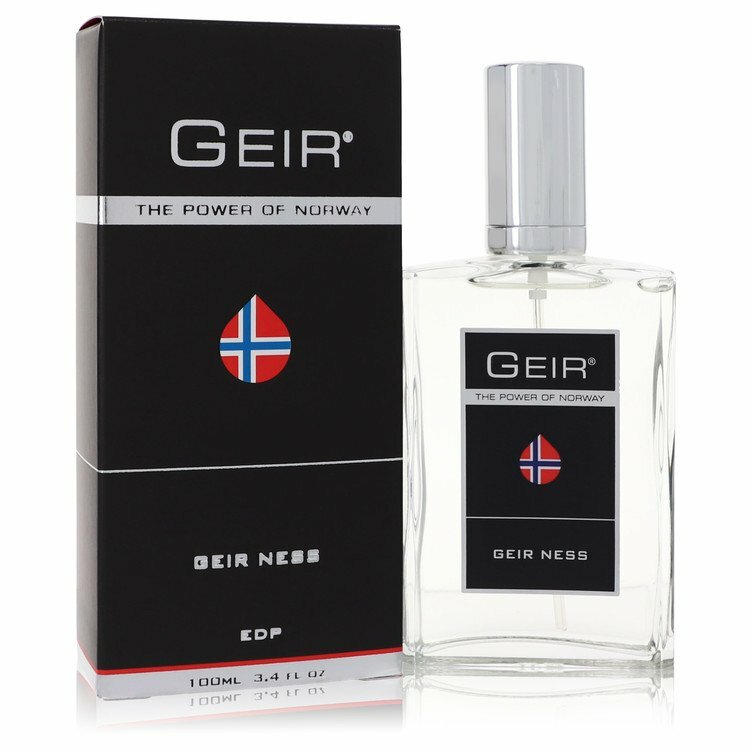 This is a niche fragrance made by the Norweigan perfumer Geir Ness as supposedly representing the spirit of Norway as a country. It is advertised as smelling like "crisp mountain air" and is made of high-quality ingredients. I first smelled this at the Norway pavillion at Epcot in Disneyworld, and was smitten by the fragrance almost immediately. The whole giftshop smells like this, while also being high in air conditioning, so it gives the effect of mountain air. I can't really pinpoint the notes in this that well, except for smelling a green undercurrent, and lots of sweet herbal and floral notes. It gets sweeter over time with something that smells like vanilla to my nose. It does give me the sense of mountain air but also sweet herbs growing in the underbrush. Some people say this is like the niche version of Chanel's Allure Homme Sport - I can't say since I haven't sampled the Chanel. Projection is very good. It projects in the air but in a subtle, non-cloying way. While longevity is fairly good, running at around 3 hours of strong projection and then as a skin scent many more hours after that. Overall, I really love this fragrance and it's one of my favourite scents. I really like pairing it with Pinaud Clubman, if using it after a shave (they are in a similar category of sweet, masculine floral scents). It doesn't really smell like anything else out there, and I will always be nostalgic about it since it reminds me of Epcot. Just read every review of this looking for someone to mention a similarity to AdG but looks like I'm the only one getting that? Oh well, maybe my nose is playing tricks but AdG with extra vanilla is what Geir reminds me of in the opening. I do get Allure Homme Sport as it dries down, but again, AdG was my first thought. Geir has more of that cool, watery, airiness that AdG has, to me, in the beginning and then its all Allure Homme Sport after an hour or two. Geir starts out as a sweet, fruity-green scent in roughly the same genre as Creed’s Green Irish Tweed or Davidoff’s Cool Water. In fact, the first time I sprayed it on, I thought to myself: “Oh, GIT v2.0!” The opening accord is similarly fresh and pleasant, if a bit more reserved and woodsy. The similarity in mood persists for a while but Geir, to its credit, begins to move in its own direction. The woods that sneak around in the opening become more dominant as the scent develops, entering darker, drier territory than the top notes ventured into. After the first hour or so, a smooth, resinous conifer note steps in to add a hint of the forest to the heart accord. Sillage and projection are both moderate, and the woody and ever-so-slightly mossy drydown is gratifyingly lasting. 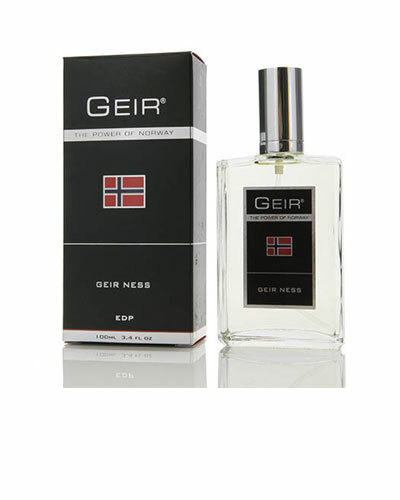 Geir remains a very safe, pleasant fragrance throughout, and while there’s not a whit of originality to it, it is easy to wear in any season or setting. Geir Ness is like sticking your nose in a bouquet of roses. There is a bit of added sweetness, but overall this is almost exactly what it smells like. Didn't get great longevity or projection out of Geir Ness. This is probably by design and a good thing for this fragrance. Can't say I would ever wear this or recommend this. For myself this is a very very feminine fragrance. Also, I don't see any comparison to Allure Homme Sport or Joop Jump. Geir Ness is all about the flowers. Cons: Not much too it. Doesn't last or project." Laila by Geir Ness Women's 3.4 oz Eau de Parfum Spray Original Version RARE! GEIR Geir Ness for Men Travel Case Bag NEW with TAG! There are no member images of Geir yet. Why not be the first? how sweet is geir ness ?